I cant find mntgs; rarity; nor any reference to it anywhere but here, in a recent post. I'm looking also for any direction to past/present auctions. I can not judge what an MS65 would be. 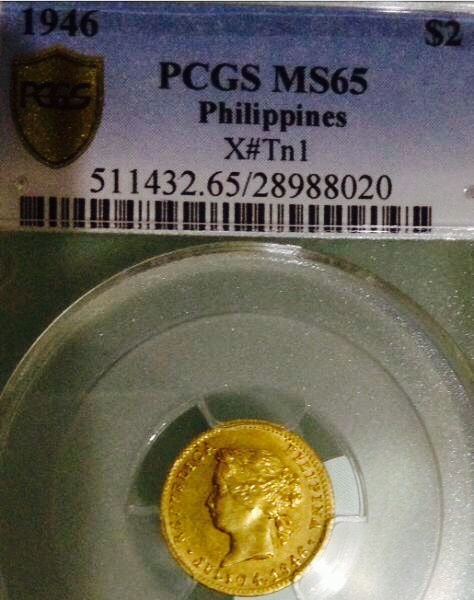 This is a medal struck in commemoration of our first Independence Day in 1946, in the first year of the Philippines as a republic. 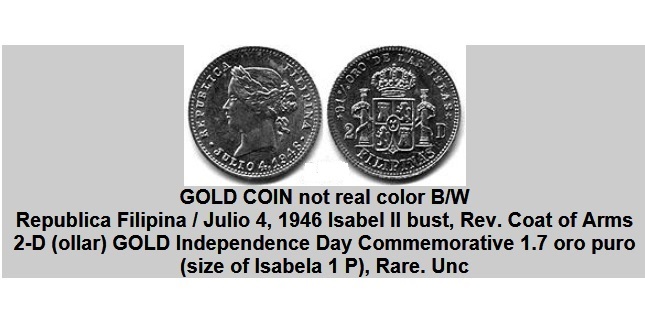 The portrait everyone thought was that of Queen Isabela as this obverse is similar to that of the Queen's portrait in gold pesos issued during her reign in the 1860s but actually it was the portrait of "INANG BAYAN". 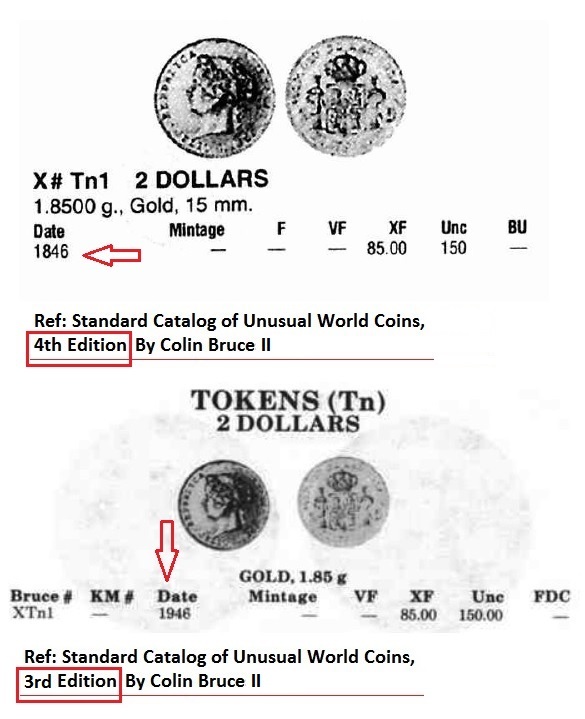 There was no exact mintage of these medals, its designer/creator nor its official recipients. They have the same description (X#Tn1) in the same book on a different edition. But i think there was a typographical error on the later publication.